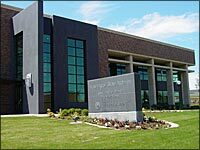 The Eastern Regional Branch provides archival and records management services to local government agencies throughout Adams, Asotin, Columbia, Ferry, Garfield, Lincoln, Pend Oreille, Spokane, Stevens, Walla Walla, and Whitman counties. Local government records include those from county offices such as the Auditor, the Clerk, the Treasurer, the Board of Commissioners, and from municipalities, school districts, and other service districts. Only a small percentage of the records created by these offices are transferred to the State Archives as archival records. They are selected as archival for their value as legal and historical evidence of policy development, implementation, and effect. The transfer of records to the State Archives is an ongoing process. Some historical records remain with their originating office pending future transfer to the Archives. Collections span the years from the territorial period to the present and include school census records, tax assessment rolls, court dockets and case files, photographs, maps, plats, and engineering drawings. The Eastern Regional Branch also acts as a regional resource to local governments in the area of public records and information management. These services include consultation, workshops, and the coordination of additional services. The Eastern Regional Branch is closed for in-person research Mondays and Tuesdays, although we welcome phone and email requests those days. The Eastern Regional Branch is closed for in-person research Mondays and Tuesdays, although we welcome phone and email requests those days. The branch is open for in-person research Wednesdays through Fridays by appointment only. Please contact the branch to schedule a research appointment. Location: 960 Washington Street on the campus of Eastern Washington University in Cheney.